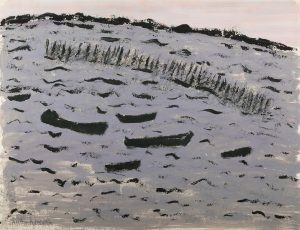 Milton Avery was one of the few American masters of figure painting during the 1930’s and 1940’s. 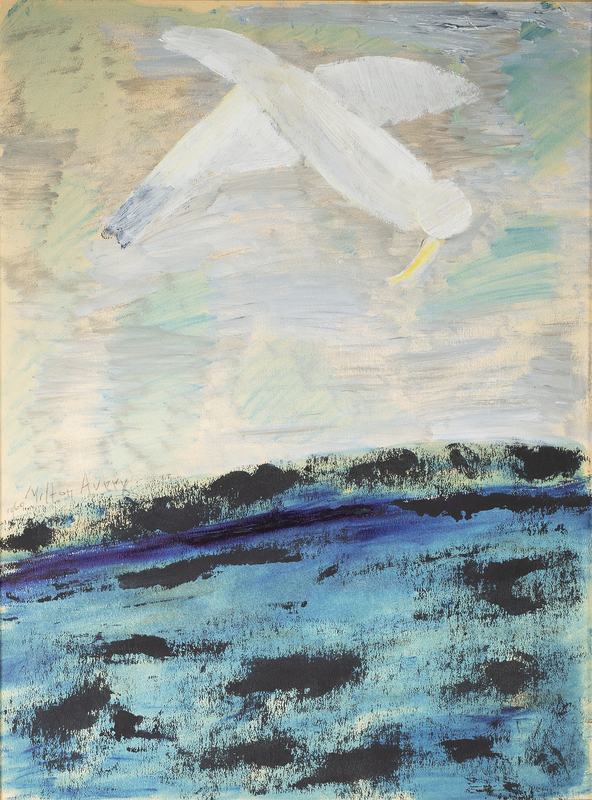 Emphasizing broad, flattened planes of color in the tradition of Matisse, his work has a personal poetry of forms which are arresting and moving. In the 30’s and 40’s he painted in representational images, but subordinated line to color, using delicately modulated color shapes to define form. Avery stood apart from the Social Realists of his generation but was a major link between the color paintings and collages of Matisse and the American color-field painters of the 1950’s and 1960’s such as his good friend, Mark Rothko, Helen Frankenthaler and Adolph Gottlieb. His later work concentrated more on pure landscape and more abstract forms. His art helped forge a unique, modern outlook in the United States. Avery is regarded as one of “the most important American artists of the twentieth century.” He is considered a supreme American colorist and each new generation of artists goes back to his work. His shapes appear to be translucent, an effect he achieved by varying the thickness of white paint beneath thin veils of color. At times he used oils- almost like watercolors. The effect is a lyrical quality of motionlessness and peace. Born in 1893 in Altman, New York, he trained briefly at the Connecticut League of Art Students. In 1925 he held his first one-man show at the Opportunity Gallery in New York City. His work is represented in many of the major museum collections in the United States. 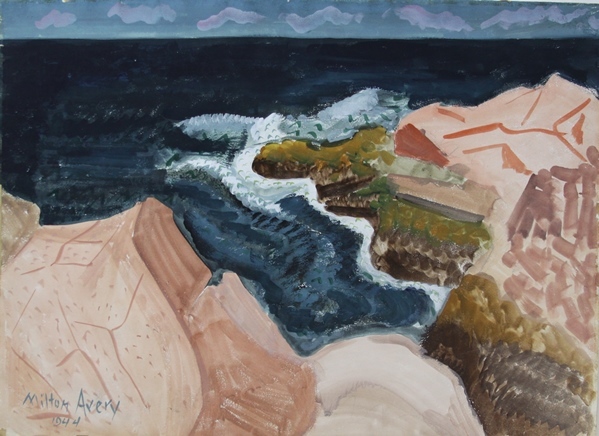 1944 was a pivotal year for Avery, largely because of a new association with a New York gallery owned by Paul Rosenberg. Rosenberg had a large inventory of avant-garde paintings brought with him from Europe. 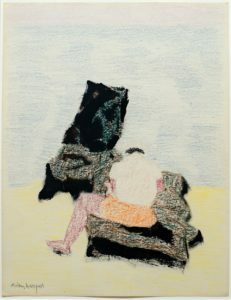 Rosenberg agreed to buy twenty-five of Avery's paintings twice a year, which meant Avery did not have to worry about money and was free to create. In 1949, Avery suffered from a heart attack which left him physically weak for the remainder of his life. He died in 1965, having suffered a second heart attack three years earlier.